Issiaga Keita (left) from Guinea and Bernard Ngalim from Cameroon. Bernard is a Cameroonian lawyer pursuing an LLM at Northeastern University School of Law. He is spending winter break in Eugene, learning about ELAW, and exploring ways we can work together. His passion is protecting the rights of citizens affected by extractive industries, infrastructure development, and agribusiness. Issiaga is an attorney at Memes Droits pour Tous (Same Rights for All, MDT) based in Conakry, Guinea. He will work one-on-one with ELAW Staff Attorneys and Scientists to advance his work defending rights of communities impacted by mining. He is also a Director's Distinction Scholar in the Intensive English Program at the University of Oregon American English Institute (AEI). Many thanks to AEI for supporting Issiaga's English study. ELAW's work in Africa began over 25 years ago. Since then, we have helped young lawyers in Tanzania, Liberia, and Zimbabwe launch their nations' first environmental law organizations, and collaborated with lawyers in 26 nations to strengthen and enforce environmental laws to protect the rights of local communities. ELAW identifies lawyers working to protect communities and the environment, provides legal, scientific, and organizational support, and connects them with each other. These lawyers are giving voice to communities and NGOs, and they become stronger by sharing information and expertise. 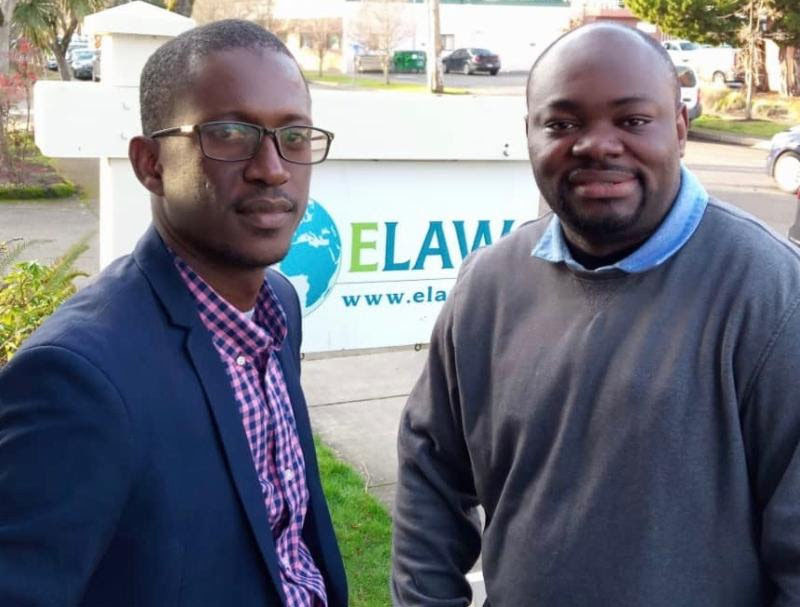 Support from The Eleventh Hour Project is making it possible to expand ELAW's work in Francophone Africa, including hosting Bernard and Issiaga for capacity-building Fellowships.